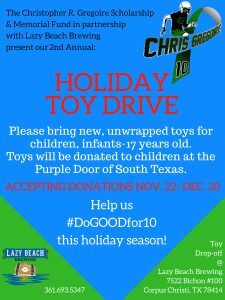 Lazy Beach Brewery – Toy Drive at Lazy Beach! Home Uncategorized Toy Drive at Lazy Beach! While you are out doing your shopping, please consider donating a toy to help others have a joyful holiday! We will be donating all toys to children at the The Purple Door. 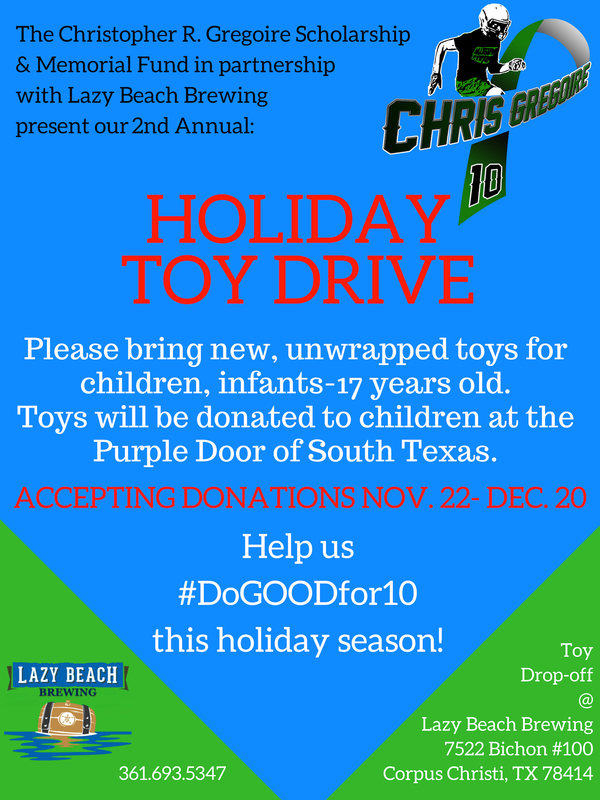 New, unwrapped toys can be dropped off during normal business hours at Lazy Beach Brewing from November 22-December 20, 2018. Accepting toys for kids of all ages, infants-17 years old. Help us #doGOODfor10 this holiday season!